Don’t be a fool and let these savings pass you by! Click, print and save today! Take a look at the Newest Coupon Printables For 4/01/2019! Here is to another month of big savings! Get ready for your Summer of savings! Take a look at the Newest Coupon Printables For 6/01/2017! May the savings be with you! Take a look at the Newest Coupon Printables For 5/01/2017! Here is to another month of hopping into big savings! Take a look at the Newest Coupon Printables For 4/03/2017! Take a look at the Newest Coupon Printables For 3/01/2017! Here is to another month of sweet savings! Take a look at the Newest Coupon Printables For 2/01/2017! Hope you are starting the New Year off with some big savings! Take a look at the Newest Coupon Printables For 1/02/2017! Be sure to print them before they’re gone! 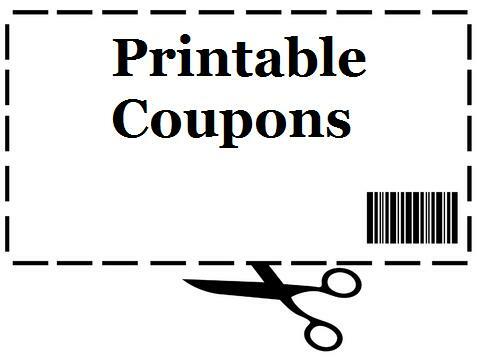 Take a look at the Newest Coupon Printables For 12/01/2016! Save 50¢ when you buy ONE (1) POUCH any Betty Crocker® Cookie Mix (12.5 OZ. OR LARGER).Expires 12/31/2016.Save $0.50. Save $1.00 when you buy ONE (1) PACKAGE any flavor/variety Immaculate Baking Co. product.Expires 12/31/2016.Save $1.00. Save $1.00 when you buy any THREE (3) Pillsbury® Refrigerated Baked Goods Products.Expires 12/31/2016.Save $1.00. Save 50¢ when you buy TWO (2) PACKAGES any flavor Betty Crocker™ Potatoes (Excludes Potato Buds™).Expires 12/31/2016.Save $0.50. Save $1.00 when you buy TWO (2) any Progresso™ products (excludes Progresso™ Pasta Bowls).Expires 12/31/2016.Save $1.00. Save 75¢ when you buy ONE (1) any variety Progresso® Bread Crumbs.Expires 12/31/2016.Save $0.75. Save 75¢ when you buy ONE (1) any variety Progresso™ Broth .Expires 12/31/2016.Save $0.75. Save $1.00 when you buy any TWO (2) BOXES Chex™ cereals: Rice Chex™, Corn Chex™, Wheat Chex™, Honey Nut Chex™, Chocolate Chex™, Cinnamon Chex™, Vanilla Chex™, Chex™ Clusters, Gluten Free Chex™ Granola Mix.Expires 12/31/2016.Save $1.00. Take a look at the Newest Coupon Printables For 11/01/2016! Check out all the green you could save this month! Take a look at the Newest Coupon Printables For 10/03/2016!